April 22, 2019: Stay true to what you know is righteous. Do not deviate from the leading of My Spirit, says the Lord. When you try to twist or alter the Word to suit your position and purpose, you are in dangerous spiritual territory. Deuteronomy 12:32 "Whatever I command you, be careful to observe it; you shall not add to it nor take away from it." April 21: You might feel like change is being forced upon you, but I tell you truthfully that if you will embrace this time of adjustments, you will benefit greatly in the days ahead. Don't be reluctant to let go of that which has outlived its usefulness. You cannot move forward and stay stationary at the same time. Allow Me to show you the way, says the Lord. Psalm 32:8 I will instruct you and teach you in the way you should go; I will guide you with My eye. 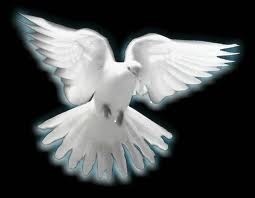 April 19, 2019: Beloved, any kind of hatred in your life as a born-again, Spirit filled believer is not acceptable. Any response other than that of My Spirit in you is not suitable. Vitriol is not of Me for I am a God of love and am no respecter of persons. The warfare that is admissible is spiritual warfare against the devil and his demons, says the Lord. It is time for every child of God to make that distinction. Galatians 5:22-24 But the fruit of the Spirit is love, joy, peace, longsuffering, kindness, goodness, faithfulness, gentleness, self-control. Against such there is no law. And those who are Christ’s have crucified the flesh with its passions and desires. April 18, 2019: Some of you, My people, need a break from the monotonous grind whether mentally or physically. You need fresh perspective of your life and purpose and the time to deliberately see through spiritual eyes. It is time to reset. Re-establish yourself in divine motivation to get beyond where you are stuck, says the Lord. Ecclesiastes 3:1 To everything there is a season, a time for every purpose under heaven. April 17, 2019: Honest evaluation of your life and circumstances will reveal that which keeps you from living in the Spirit. There are problems that need your attention and adjustment both internally and externally before you can thrive in My kingdom. There are things you need to embrace and things you need to release in order to be in a position for blessings and progression, says the Lord. I will lead you in the way you should go. Psalm 78:52 But He made His own people go forth like sheep, and guided them in the wilderness like a flock. April 16, 2019: You are in a time of preparation when you can formulate a strategy that will accommodate the coming changes. There are options and opportunities that can be optimized to give you the most effective approach to your unfolding future. Ask Me for the wisdom and guidance you need to proceed, says the Lord. Proverbs 2:6 For the Lord gives wisdom; from His mouth come knowledge and understanding. April 15, 2019: The strength and power of the internal work that you have done will be revealed by your thoughts, actions, and the words of your mouth. There are areas in your life where self-control is still an issue. Victory can only be achieved as you yield to the work of My Spirit, says the Lord. 2 Corinthians 3:18 But we all, with unveiled face, beholding as in a mirror the glory of the Lord, are being transformed into the same image from glory to glory, just as by the Spirit of the Lord. April 14: I speak to many whose hearts have been torn and minds scattered. You are trying to find peace, but having lived in crisis for so long, you have lost your bearings and are not able to find your true self in Me, says the Lord. Your identity has been compromised. You must stop running and re-establish yourself in a place of spiritual safety and stability by drawing close to Me again. I am with you. Psalms 73:28 But it is good for me to draw near to God; I have put my trust in the Lord GOD, that I may declare all Your works. April 12, 2019: You will be facing and making many choices in the days ahead. How do you know what is right and best? Ask Me to show you the way to go. Spiritual discernment is more important than ever in your options and evaluations. So, calm your soul and seek wisdom, says the Lord. James 1:5 If any of you lacks wisdom, let him ask of God, who gives to all liberally and without reproach, and it will be given to him. April 11, 2019: I am opening a new chapter in your life. The last chapter is over and done, and the conclusions are no longer relevant. Position yourself to step into what I have prepared for you. Step into the newness of life in the Spirit. Rise above your history and be done with regrets and condemnation, says the Lord. 2 Timothy 1:12 For this reason I also suffer these things; nevertheless I am not ashamed, for I know whom I have believed and am persuaded that He is able to keep what I have committed to Him until that Day. April 10, 2019: Those issues that have been on the back burner, so to speak, can soon be put to rest. They will be things that have kept you tied to the past and hindered you from moving on. This is a time of extrication! But you will have to revisit that which has delayed your progression and growth one last time, says the Lord. You will have the confidence necessary when you walk this time out in the Spirit. Proverbs 3:26 For the Lord will be your confidence, and will keep your foot from being caught. April 9, 2019: There are and will be many things that need your attention, but planning is one thing and obsession is another. Refuse to allow these issues to distract from the greater need of spending time with Me. I want you to be aware of My presence and to be sensitive to the wisdom and guidance that I will give you, says the Lord. Then, you can walk in perfect peace. Isaiah 26:3 You will keep him in perfect peace, whose mind is stayed on You, because he trusts in You. April 8, 2019: Take stock to see the areas in your life where you have been disobedient to My word. Those are the places where the enemy can enter in and wreak havoc. If you are uncertain, ask Me to show you where you fall short of complete obedience, and deliberately make the correction. Only then will you reap the fruit of obedience, says the Lord. Romans 6:16 Do you not know that to whom you present yourselves slaves to obey, you are that one’s slaves whom you obey, whether of sin leading to death, or of obedience leading to righteousness? April 7: Get ready to emerge from a transitional time when progression seemed to have stalled. It's not that you haven't accomplished what was necessary, but forward motion was difficult and hindered at best--almost like walking through mud. You will soon sense a time of release as you move with less restriction and greater freedom, says the Lord. Philippians 3:13 Brethren, I do not count myself to have apprehended; but one thing I do, forgetting those things which are behind and reaching forward to those things which are ahead. April 5, 2019: Pay attention and be aware of My leading, for I impart wisdom and direction in every situation. You are not beyond My reach nor are you unworthy of My help, says the Lord. Refuse to dump down into self-degradation, but rather rise to a new spiritual level where you can receive all that I have for you. Romans 8:1 There is therefore now no condemnation to those who are in Christ Jesus, who do not walk according to the flesh, but according to the Spirit. April 4, 2019: Many of you are making plans for the future, but you must be honest with yourself that your intentions and expectations are subject to change. Flexibility is a must because actual circumstances will change your perspective. Realize that false assumptions can only produce disappointment, says the Lord. Colossians 3:2 Set your mind on things above, not on things on the earth. April 3, 2019: To those who have developed a habit of negativity and complaining, I want you to begin by counting your blessings. Focus on what is right and good in your life regardless of how insignificant it seems. By doing this you will be sowing the seeds of righteousness and blessing. It is time to stop seeing yourself as a victim of life's circumstances and change the outcome of your life by being grateful for the small things, says the Lord. Galatians 6:7 Do not be deceived, God is not mocked; for whatever a man sows, that he will also reap. April 2, 2019: A very strong anointing has been released on those who sincerely desire to completely yield to Me. This anointing will give you strength and protection as you move forward in My purposes. And I tell you honestly that breakthrough is imminent. I will give you the wisdom needed to make the most of this time, says the Lord. Persevere! Romans 8:25 But if we hope for what we do not see, we eagerly wait for it with perseverance. April 1, 2019: It is of utmost importance that you align your heart and mind to be in complete unity with Me. You can do this when My Spirit is active within you. Set yourself to walk and live in the Spirit. Only then will you have the anointing to express My thoughts, feelings, purposes and desires, says the Lord. Romans 12:2 And do not be conformed to this world, but be transformed by the renewing of your mind, that you may prove what is that good and acceptable and perfect will of God.